The AP 7000 Snackshop Series simply stated was built of the best materials and components available. 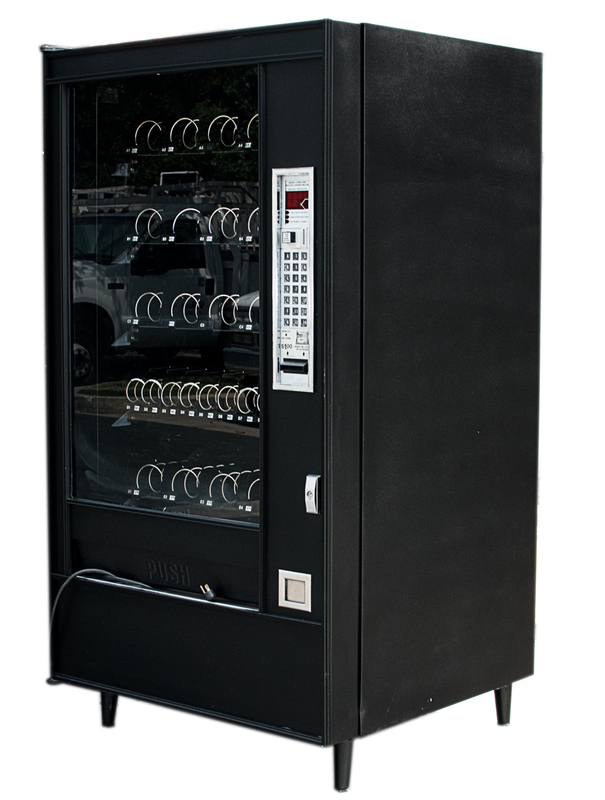 It was well designed and quality crafted for function and durability, with one goal in mind to be the very best glass front snack machine. The AP 7000 models are an excellent mix of tradition and technology, pleasing to the eye, highly functional and easy to operate by both the customer and vender. We reface these machines with high-grade commercial vinyl. During this process, all vertical and horizontal trims are removed and replaced, as needed. In addition, each face panel is removed and has new vinyl applied to it. The end result is a new look that will stand the test of time with no exposed edges or seams for customers to pick at or peel. Mechanically, you can expect the model you choose to be in 100% working order.